The Edit Account Screen will open. 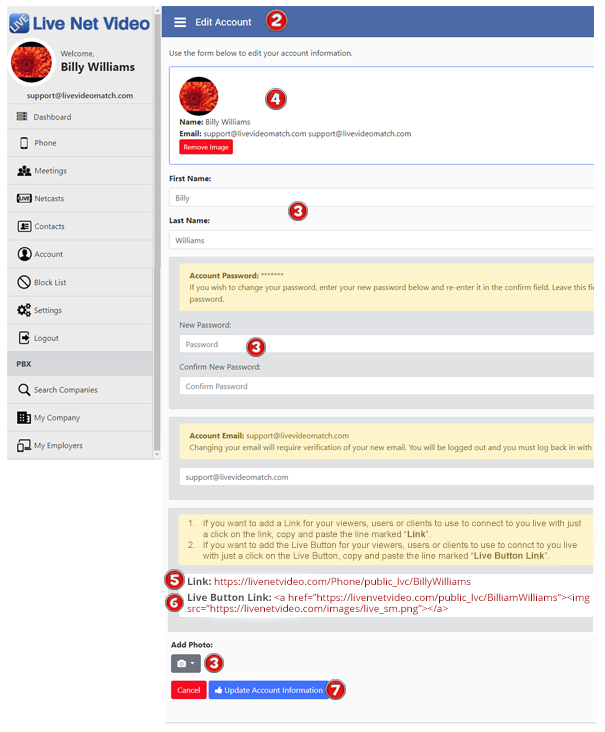 (from this screen you will be able to edit your profile or setup a new profile. On this screen, you can add your name, description or add a photo. You can also make change to any of the information already entered. Any information you enter on this page will be displayed on the public view of your information. If you want to put a link on your social media, website or email, etc., copy this link and paste it into the material where you want it to appear. From this link anyone clicking on it can be connected to you instantly by Live Video Connection. If you want to display the Live Button on your social media, website, ads, etc., copy this link and paste it into the material where you want it to appear. 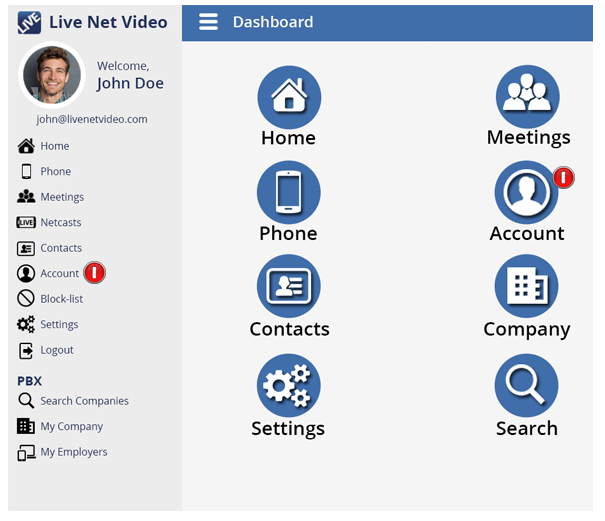 The Live Button will be displayed and anyone clicking on it can be connected to you instantly by Live Video Connection. Once you’re finished entering information, click the Update Account Information.